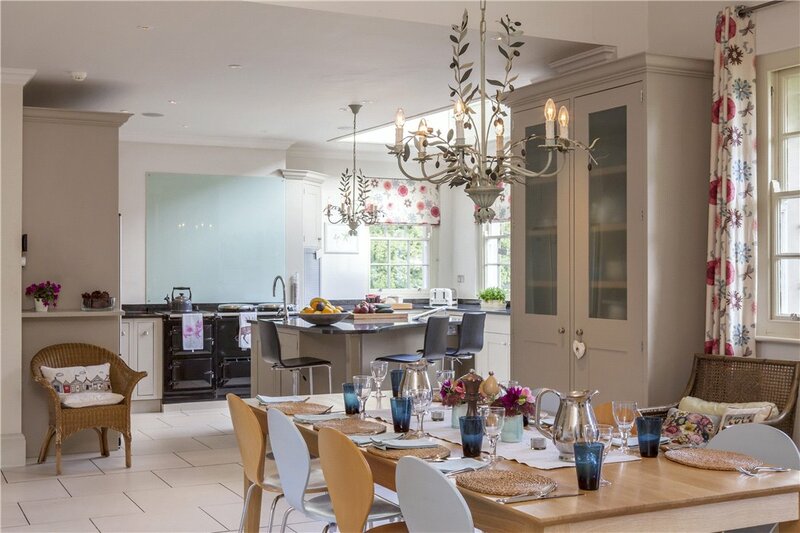 The former home of property magnate Sir Robert McAlpine has come to the market – and it's a perfect spot that would make the country ideal estate. 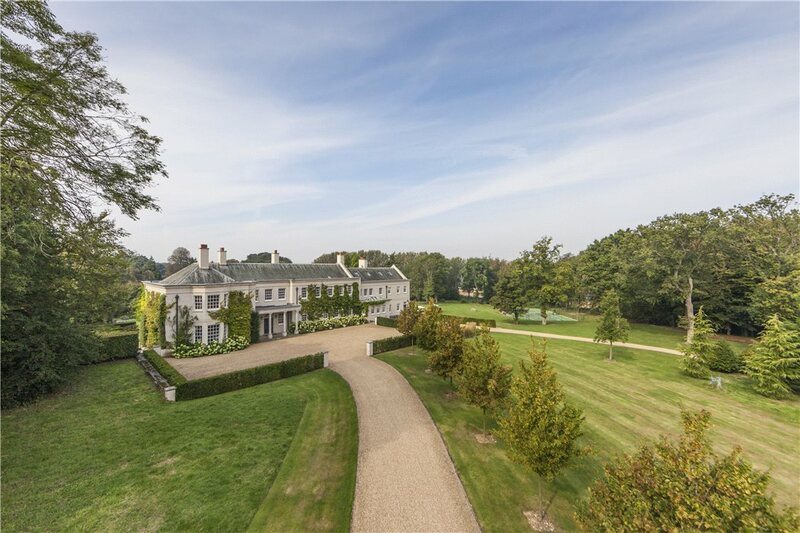 Those on the lookout for an idyllic country estate within easy commuting distance of the capital shouldn’t miss the 278-acre Aylesfield House estate, for sale through Knight Frank at a guide price of £11 million. This superb property stands in rolling Hampshire countryside near the village of Shalden, three miles from Alton and six from Odiham. 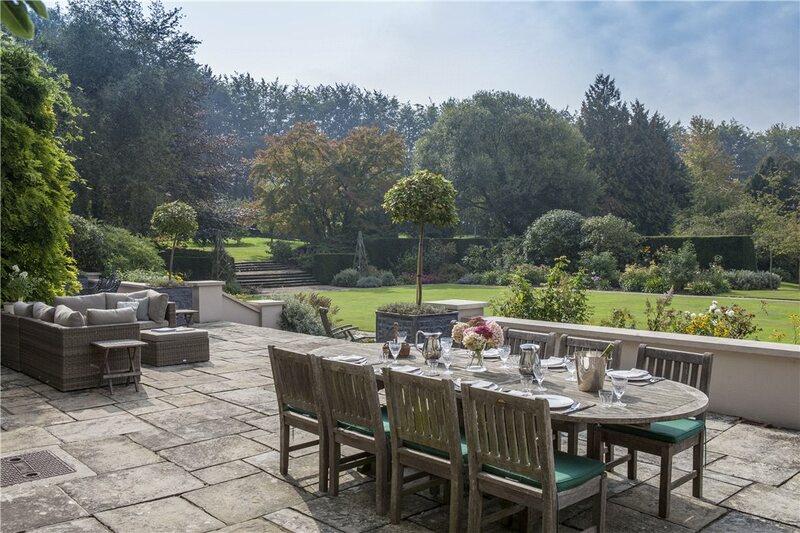 It offers more than 11,000sq ft of elegant living space, including reception and staircase halls, four reception rooms, an orangery, an open-plan kitchen/breakfast room, a master suite, seven bedrooms, four bathrooms and a second-floor flat. With the owners now looking to downsize, the house is on the market as a whole estate or in four lots. Aylesford House was built in 1933, around the core of a 17th-century farmhouse, for the Hon Mrs Bethel, a member of the Westbury family. It remained her home until the Second World War, when it was requisitioned as a rest-home for American Air Force officers suffering from combat fatigue.  In 1948, Sir Robin McAlpine, scion of the McAlpine construction and engineering dynasty and a legendary racehorse owner and breeder, bought Aylesfield House and lived there until his death in 1993, when it passed to his daughter, Carolyn, who managed his stud and racing interests in his later years. 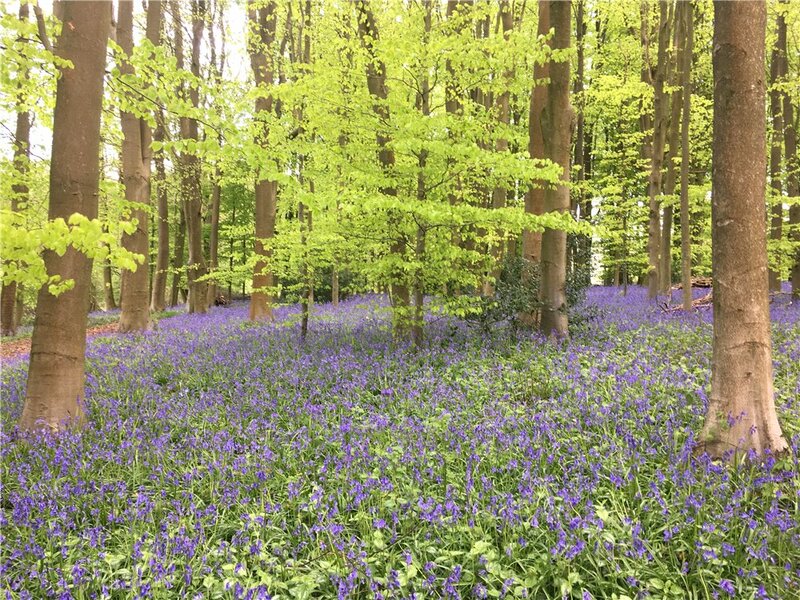 In 2003, the estate was bought by its current owners, who embarked on a major restoration project, first building the four-bedroom coach house, where they lived when they were working on the main house. 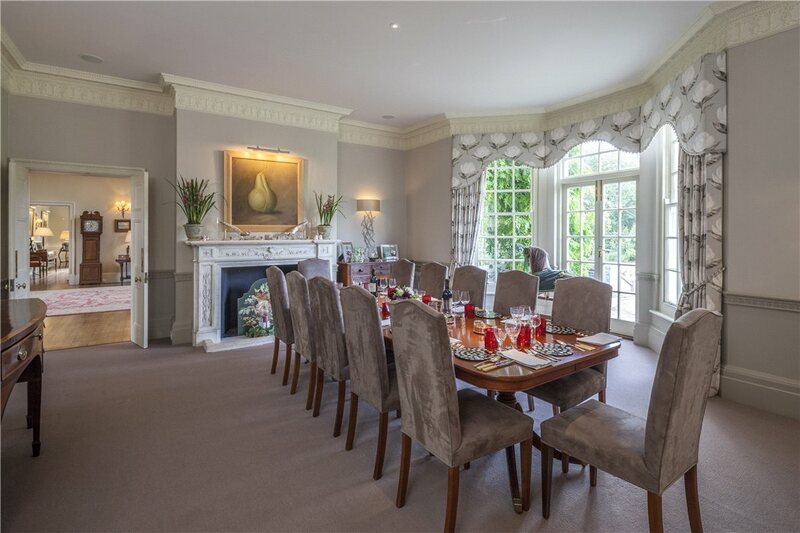 The house was remodelled, re-wired and re-plumbed throughout, and the place is in immaculate condition. 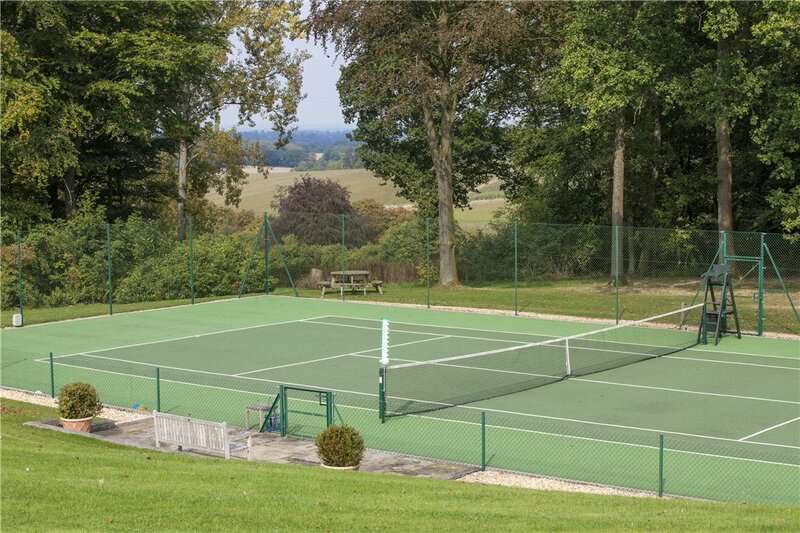 It’s ideal for those looking for leisure facilities. 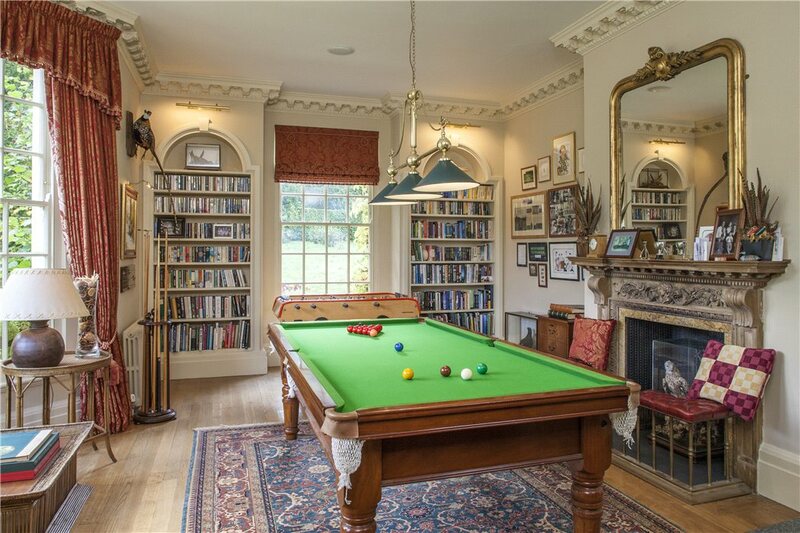 Inside the home is a snooker room and home cinema, while outside the newest additions are a swimming pool and tennis court. 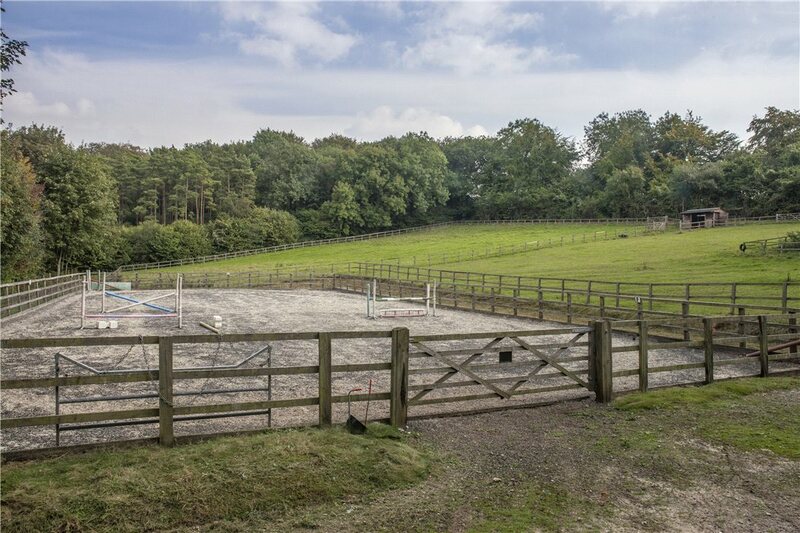 There are also first-class equestrian facilities, including some really superb-looking stables, paddocks and an outdoor manege complete with jumps to drill your horses. Aylesfield House and estate is for sale through Knight Frank at a guide price of £11 million – see more details and pictures.